Read our helpful guide to second hand Mercedes SL. AA Cars works closely with thousands of UK used car dealers to bring you one of the largest selections of Mercedes SL cars on the market. You can also browse Mercedes dealers to find a second hand car close to you today. 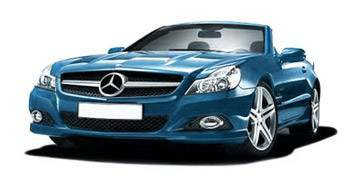 All used Mercedes SL on the AA Cars website come with free 12 months breakdown cover. From the legendary 300 SL ‘Gullwing’ through its modern day descendants, Mercedes-Benz has been at the forefront of roadster design and performance for over 50 years. The SL-Class carries on the tradition as a two-door Cabriolet or Roadster, with V8 and V12 options on the fifth and sixth generation models, offering breathtaking performance.